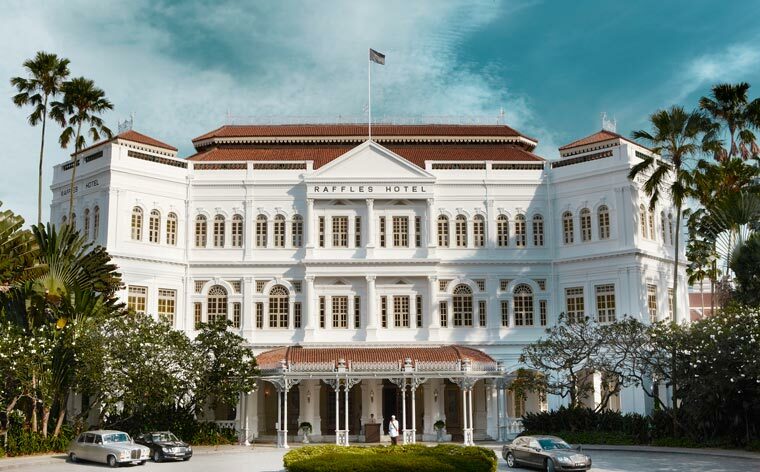 Raffles is The Grand Dame not only of Hotels in Singapore, but the world. 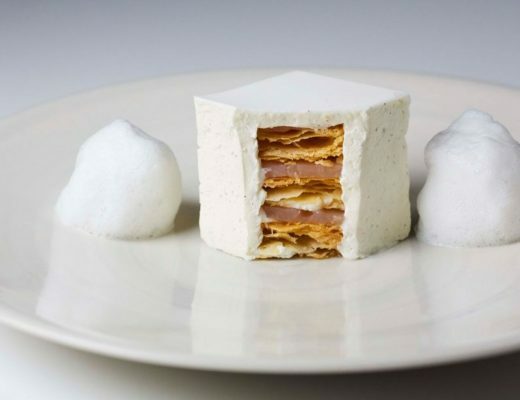 Singapore has so many fabulous, five star modern hotels to stay in, it’s not easy to choose, but you don’t book Raffles to stay in, you select it for an experience akin to being a member of royalty. 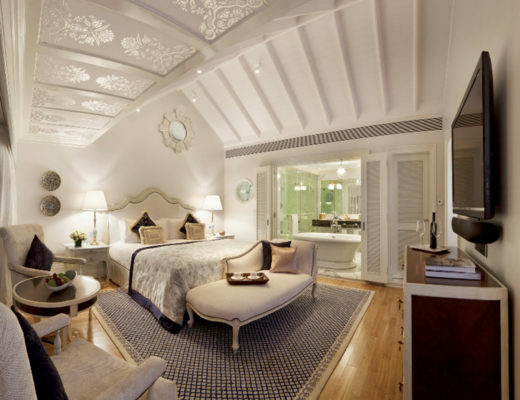 The hotel echoes colonial Singaporean life, as well as celebrity life, with glistening chandeliers, high ceilings, white pillared walkways and over the top service. I have stayed there several times, and love the expansive lobby area, a Singapore Sling in the Long Bar, a tea or champagne at the lobby bar, and sitting on the lawns (if it is not too hot) for a quiet, melancholy read. Breakfast is a sensational buffet as well as a la carte menu, and staff remember your coffee and food preferences. High Tea is another institution, and sees hundreds of tourists pack into the restaurant every afternoon to indulge in locally made cakes, snacks and champagne. The hotel was named after British statesman Sir Thomas Stamford Raffles, who founded Singapore, and is steeped in history. It was a favourite of many celebrities due its glamorous persona, including Liz Taylor, Charlie Chaplin, Noel Coward, Ava Gardner, and Rudyard Kipling. Today twelve of the 103 suites are named after famous figures. During a stay there, you can almost feel the memories of historical figures moving through the grand reception and long hallways. I have seen several famous faces there during my stays. Like many items of beauty, Raffles has a long history, full of many challenges. It began as a beach house in the 1830s, owned by an Arab, with 10 rooms to accommodate the wealthiest patrons. The most entertaining story is that of a tiger hiding underneath a billiard table in 1902, who had apparently escaped from a local circus. In 1915, barman Ngiam Tong Boon created the infamous Singapore Sling, a drink which has become a rite of passage for almost every visitor to Singapore, in the equally famous Long Bar, still littered with peanuts and memories. The hotel survived the war, and in 1987 was declared a national monument by the Singaporean government. In 1989 it had a $160 million renovation, then in 2005 it was sold for a whopping $1.45 billion, then in 2010 during the financial crisis, for $275 million. My how things go up and down in life. Today the hotel has a shopping arcade with 40 shops, including Cartier and Tiffany, but I don’t stay there to shop. 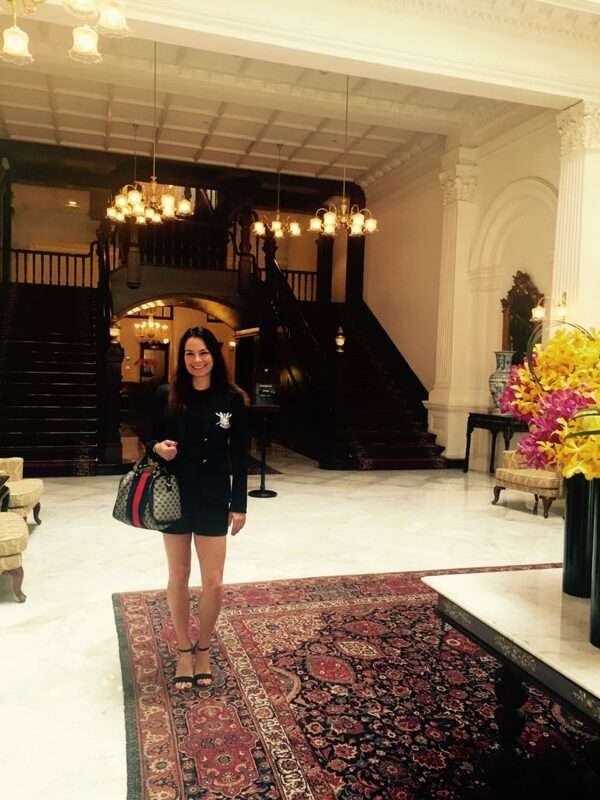 I stay there for a luxury indulgence, to surround myself in British Colonial history, and to chill out. Singapore is a small but exhausting city, Raffles provides a true haven. The gym is sufficient, but small, and the interiors of the spa are also dated, but services in the spa itself are top notch. In a property of its calibre, with such an interesting history, you don’t stay there for a modern day spa, you stay there for a once in a lifetime experience. Rooms are expansive, with spacious bathrooms fitted with a fabulously large bath tub. Fragonard soaps are a gorgeous touch. Each of the standard rooms has a little lounge area at the front, perfect for couples, and the hall outside has a table in front of each room, with large straw chairs, a great spot to work or dine alfresco for two in relative obscurity. The restaurants, Raffles Grill, Tiffin Room and The Long Bar Steakhouse are also good, again with excellent service, and impressive wine lists. Steaks are expensive and a luxury in Singapore, and The Long Bar Steakhouse doesn’t disappoint with American style cuts, and steaks cooked to perfection. 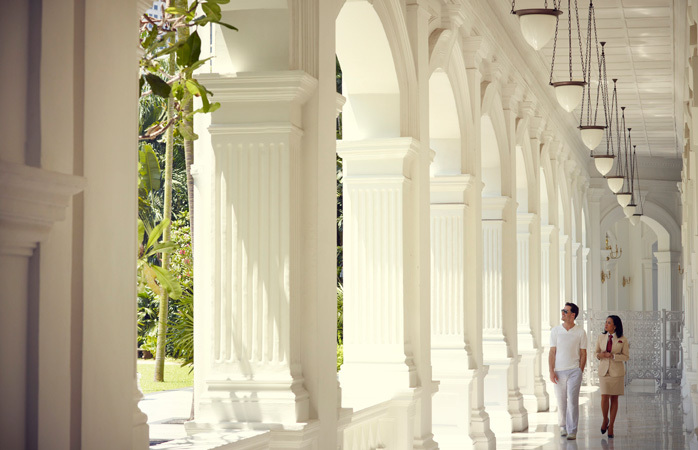 Raffles serves up traditional old fashioned five star luxury at it best, and they do welcome children. Just be sure not to stay in the main part of the building if you are a light sleeper, as the hotel’s famous clock is rather loud. I do love it. Don’t miss the luxe complimentary Raffles black and white marbled pens as well as the Raffles chocolate truffles with soft pink Singapore sling flavoured centres, divine – and a gift for return guests. I really enjoyed this story and particularly loved reading about the history behind the hotel, found it fascinating.